Thursday, June 8, 2017 at 5 pm. HISD administration requests that the HISD Board approves the renewal of contracts with the following HISD contract charter schools: Energized for Excellence Academy, Energized for Science, Technology, Engineering, and Math Academy (E-STEM), Southeast and Southwest campuses (formerly Central and West campuses), Inspired for Excellence Academy, Inc., Kandy Stripe Academy, Mount Carmel Academy, Texas Connections Academy @ Houston, Texas Southern University Charter School, Victory Preparatory Academy, Young Learners Charter School (multiple campuses), Young Scholars Academy for Excellence. Teachers in HISD will participate in the teacher appraisal and development process and will follow the calendar adopted by the Board of Education. School leaders in HISD will participate in the school leader appraisal process and will follow the calendar adopted by the Board of Education. Central office and campus-based non-teachers in HISD will participate in the non-teacher appraisal process on a yearly basis and will follow the calendar adopted by the Board of Education. The Self-Insurance Recovery Fund will be used to fund the cleanup at Luther Burbank Middle School. The air condition motors began to smoke and filled many rooms, which required industrial cleaning. Blackmon Mooring did the cleanup. All costs will not exceed $152,747.81. HISD lease the former Thornton Fairchild ES facility to JAA Enterprise, doing business as Kandy Stripe Academy Charter School for the last 10 years. Kandy Tripe has requested that the lease be renewed. The new proposed lease term would be for five years at an annual rate of $216,232, and the school currently services 434 students. Luther Burbank ES identified the need for additional parking spaces. A Status Construction was determined to be the best-value proposer, and is recommended to be awarded the contract for the new parking lot project. Luther Burbank MS identified the need for additional parking spaces. P2MG, LLC was determined to be the best-value proposer, and is recommended to be awarded the contract for the new parking lot project. Windsor Village ES identified the need for additional parking spaces. A Status Construction was determined to be the best-value proposer, and is recommended to be awarded the contract for the new parking lot project. The HISD Board needs to approve amending and increasing of the design contract in the amount of $453,671 to acquire the additional services Stephen F. Austin HS has undergone the past few years. 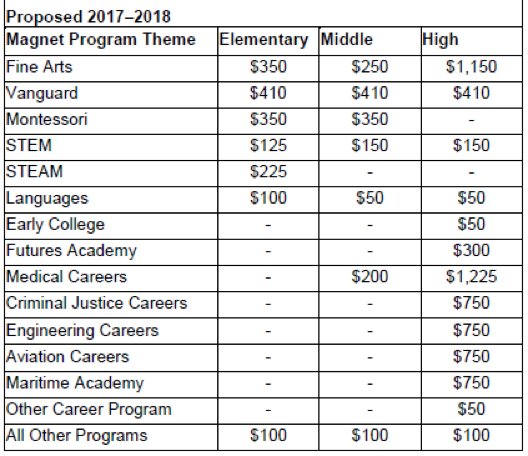 The HISD Board needs to approve amending and increasing the design contract in the amount of $645,877 to acquire the additional services at the High School for Performing and Visual Arts. A portion of this contract is funded from the Kinder Foundation in the amount of $311,311. The HISD Board needs to approve amending and increasing of the design contract by $517,756 to acquire the additional services at the Sam Houston Math, Science, and Technology Center. The HISD Board needs to approve amending and increasing of the design contract by $185,000 to acquire the additional services at the George Scarborough High School JROTC/Performing Arts Building. The HISD Board needs to approve amending and increasing of the design contract by $79,225 to acquire the additional services at Sterling High School. The HISD Board needs to approve amending and increasing of the design contract by $250,000 to acquire the additional services at Stephen Waltrip High School. HISD purchases insurance to protect the district against boiler and machinery breakdown-related losses. In March 2017, the HISD Risk Management Department competitively marketed the insurance coverage by a request for proposal process. Alliant Insurance Services was selected as the best value and the premium effective August 1, 2017 is $93,959. Excess insurance is purchased to protect the district from catastrophes. The HISD Risk Management Department recommends that this coverage be renewed with Safety National Casualty Corporation through Arthur J. Gallagher & Co. The cost for this service is about $475,000. HISD makes available athletics injury insurance and voluntary student accident insurance coverage. The HISD Risk Management Department competitively marketed the Primary and Catastrophic Athletics Injury Insurance coverage by a request for proposal process. Texas Kids First was selected. The Board needs to approve the negotiation and execution of an agreement with Franklin Covey. The purpose of this contract renewal is to continue The Leader in Me (TLIM). 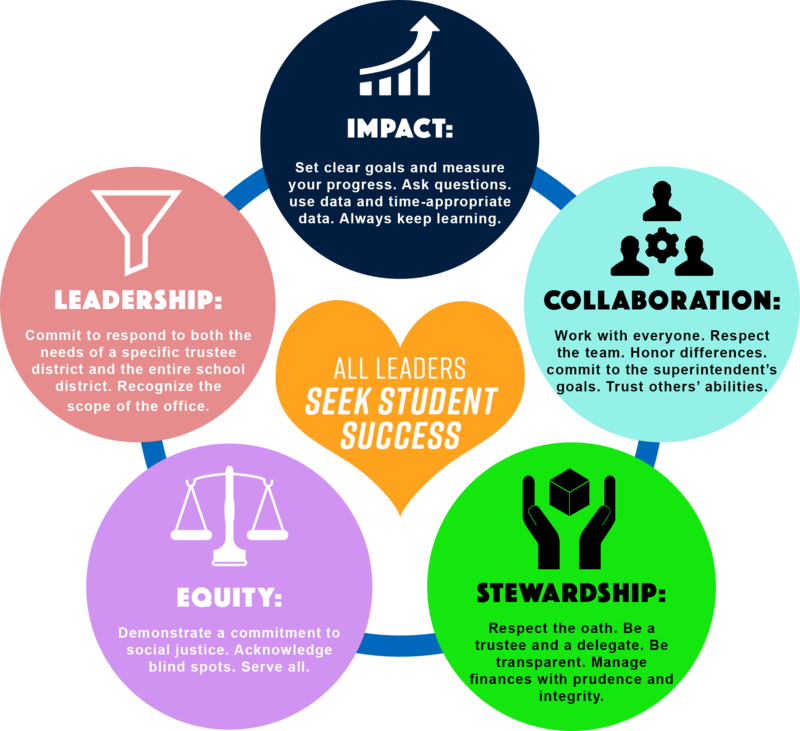 TLIM teaches 21st century leadership and life skills to K-12 students and helps students learn how to become self-reliant, manage their emotions, set and track goals, do their homework, and develop the skills and self-confidence to successfully lead their lives. The Board needs to authorize the superintendent to negotiate and execute an agreement with BDO USA, LLC. The Office of Internal Audit issued a Request for Qualifications to identify a qualified vendor to perform IT internal audits. BDO USA, LLC was selected. The Board will consider revisions to address specific policy text required for compliance with federal law, the development/implementation/evaluation of HISD’s wellness plan, and district goals and guidelines for school nutrition promotion and education/physical activity/school-based activities. The United States Department of Agriculture’s Food and Nutrition Service adopted final regulations effective August 29, 2016, and school districts must meet the requirements of the federal regulations by June 30, 3017. HISD has reviewed its existing wellness policy and the recommended wellness plan. The Board will consider revisions to policy on reporting campaign funds to improve ease of filing for board election candidates and trustees by providing electronic filing as a method for reporting campaign contributions and expenditures. The Board will consider revisions to policy on employee conduct. This change will require all employees to attend ethics training on conflicts of interest, the Code of Silence, gifts from vendors, and general policy violations. The Board will consider revisions to policy on academic achievement as it relates to GPA calculation. The HISD Board of Education is asked to approve the waiver requests for several local board and state policies. The categories include: pass/fail option, early dismissal days, alternative schools parent/teacher associations or organizations (PTA/PTO), nine week grading cycle, early release days, modified schedule on state assessment days, foreign exchange students, timeline for accelerated instruction, teacher data portal of Texas, missed school days, low average daily attendance (ADA). There is also a request to approve the waiver for low attendance days and missed instructional days. The HISD Board of Education needs to approve the 2017-2018 Code of Student Conduct (Code). The Code informs HISD parents and students of student rights and responsibilities and HISD’s student expectations related to conduct. The Code also explains the disciplinary consequences in response to student misconduct and the appeals options in response to the disciplinary consequences. Some changes to the Code include: offering substance addiction education, assessment and community-based treatment alternatives for first-time drug or alcohol offenses; offering summer school, weekend activities, community project, or summer jobs, which will allow students with discretionary offenses to return to their home campus in the beginning of the school year instead of in the DAEP; and moving most non-statutory Level IV offenses to Leve III and identifying them as offenses with an elevated safety risk to the campus. The Board needs to approve the 2018 employee medical programs and authorize the superintendent to negotiate and/or renew and amend contracts with service providers. On January 1, 2018, Cigna will assume administration of network management, medical provider payments, customer support, flexible spending accounts, care management, and other ancillary services. List of donors: Jacobs, College Forward, Harvard ES PTA, Henryk & Betsabe Grosman, Marathon Oil Corporation, Cigna Health and Life Insurance Company, Smart Financial Foundation, Tommy Garcia, BuildASign, LLC, Flint Hills Resources of Koch Companies Public Sector, The Bo Porter Sports, Education, Life-skills, Faith (SELF) Foundation. In 2009, the Board approved of $13.5 million to be allocated to additional facility projects in each of the nine trustee districts. Trustee Rhonda Skillern-Jones is requesting that a budget allocation of $2,805 be provided for capital-related improvements, and the funds will come from the allocation that has been allotted for District II. The Board must approve the establishment of budgets and authorize the superintendent or designee to negotiate, execute, and amend contracts necessary. The HISD Board needs to approve a contract with ProUnitas, Incorporated. ProUnitas will support HISD’s wraparound services. The Board needs to authorize the superintendent to execute a contract with Teach Forward Houston (TFH). TFH is a partnership with University of Houston and its College of Education, and this partnership is the expansion of the district’s efforts to build a grow-your-own teacher program. This program will provide a bachelor’s degree in education to up to 100 students who will graduate in the top 25% of the class, and then return after graduation from UH-COE and teach in HISD’s high-needs schools for four years. The Board needs to approve consultant and professional-service contracts. The Board’s approval is required for consultant contracts and professional services exceeding $50,000. List of Consultant and Professional Service Requests: Thompson & Horton, LLP, The Law Offices of Ellen Williams, Cornerstone Government Affairs, Moak, Casey & Associates, L.L.P. The Board needs to approve the resolution and ordinance adopting residence homestead exemptions for individuals living in HISD for tax year 2017. State law provides certain mandated homestead exemptions to be granted by school districts. The Board needs to adopt the resolution approving the Cash Management and Investment Policy and the authorized list of brokers/dealers. The Investment Advisory Committee meets yearly to review and advise the district about the current investment policies, strategies, and options. The Board needs to adopt the resolution approving the Debt Management Policy. The Debt Management Policy was enacted to improve the quality of decisions and provide justification for the structure of debt issuance. The Debt Management Policy needs to be reviewed yearly by the district’s CFO, bond counsel, and financial advisors. The Board needs to approve the negotiation and execution of a depository services contract with JPMorgan Chase Bank. The Board needs to authorize the superintendent to negotiate and execute contracts with service providers for 2018 voluntary benefit plans. The recommended per-unit allocation is needed to calculate the preliminary budget for the upcoming school year. If additional funds become available after the adoption of the Resource Allocation Handbook, the Office of Budgeting and Financial Planning will inform the board for approval. The Board must approve the 2017-2018 Resource Allocation Handbook. The HISD Board of Education is nominating Rhonda Skillern-Jones for re-election to the Texas Association of School Boards (TASB) Board of Directors.